Google the “Tech Giant” and Coursera the “Leading Learning Firm” recently collaborated to produce a “Machine Learning specialization” course. These two have teamed up on numerous occasions and developed numerous courses for programmers and IT professionals earlier. This machine learning specialization course is a successor to the machine learning crash course which was an introduction to machine learning for beginner developers who wanted to explore the field of machine learning. This Specialization consists of five courses and has also given a good share to practical usage and applications. This new machine learning specialization course is called “Machine learning with TensorFlow on Google Cloud Platform”, as it widely discusses and explains the usage of Google’s TensorFlow which was on beta until 27th of April 2018. Google’s TensorFlow is a newly developed machine learning tool, it’s an open source software library basically and is majorly used in machine learning applications such as neural networks. “Machine learning with TensorFlow on Google Cloud Platform” was produced after the success of its predecessor which was liked by the students, but they wanted an option to study deeper to the depth of it. Students also shared they wanted to learn production in cloud beside building a basic model. So Lak Lakshman Google’s Big Data and Machine Learning Tech Lead inspired by students thought made his team develop this course which not only provided in-depth knowledge of Machine learning but also helps students in making real-world ML models, learning how to create and sanitize huge datasets and managing them in TensorFlow. Even the crash course prerequisites consisted of skills in programming and intermediate level knowledge of Python, so from specialization course, we could expect developers to have proficiency in advanced Python, Statistics and basically be a complete programmer. Now as the machine learning is arriving everywhere in almost every tech this is the right time to learn ML. The target audience for this course is not a beginner with no or little programming knowledge but a professional who want to develop his/her skillset in Machine learning. Since Machine Learning experts are a scarcity this course would help more experts to exist and may be many employers would be attracted by this course who wants their existing workforce to gain skills in Machine Learning. 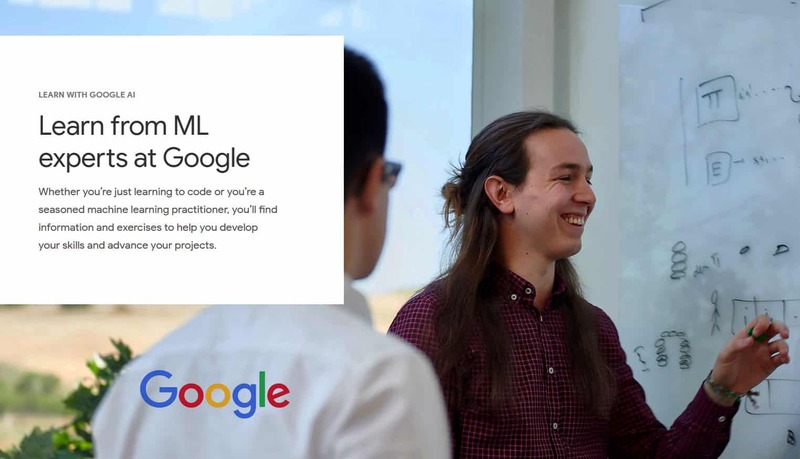 The course would also be useful to the newly graduated fresh mind students those who might be much more familiar with the theories of ML than building products. Lak Lakshman mentioned that this course would be a mess if launched a few years ago as there was not much computing GPU power accessible directly to people and which was accessible was quite expensive that only few could afford it, giving thanks to the online cloud GPU providers he also said the barrier of entry has dropped significantly. Machine learning is an ever-growing field which is revolutionizing every tech man has ever worked on, it’s market is expected to surpass $10 billion in next 5 years and this course is perfect to gain skill in ML and know about Deep learning. There may soon be a successor to even this course with a focus on working with unstructured data. Great news! Thank you for the review. I noticed you have a gendered pronoun in the paragraph about who the course is for. Can we make it gender neutral? Thanks! Thank you @LIZ for your comment, the article has already been updated, happy to hear you liked it…! !